White Hedge Nettle, Stachys albens is a perennial herb of the mint family. 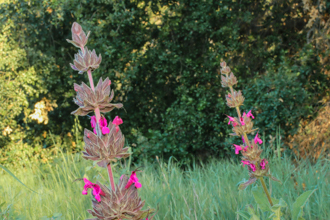 Endemic to California (found nowhere else) and found in dry creek beds - often right up to the edge where the ground is moist. Upper Sycamore Canyon, Serrano Canyon and even a seasonal creek bed near Potrero Road. 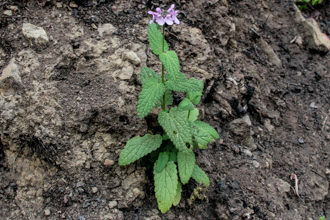 Stachys albens is not a real nettle - this plant has hairy stems and leaves but will not sting you. 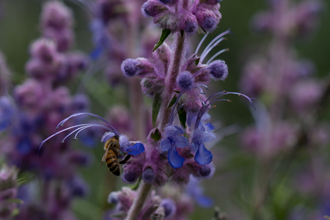 Touching the plant reveals a sensation similar to Lambs Ears or Stachys byzantina - velvety soft! 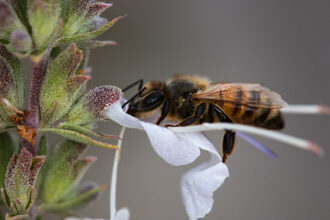 Both Plants have the same Genus (Stachys) which refers to the spike of flowers common to both plants and are also distant relatives in the Mint family - Lambs Ears are native to Turkey and Iran. 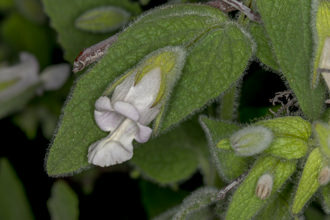 Typical of plants in the Mint family leaves are opposite, and the stems are square. Should you bruise any part of the plant, and you may notice a minty odor. Height varies from fifteen inches to just over eight feet (plants average about four feet in height). Spread via seeds and rhizomes (continuously growing horizontal underground stem that sends up stalks and sends down roots) a matted appearance is likely as the plant colonizes an area. 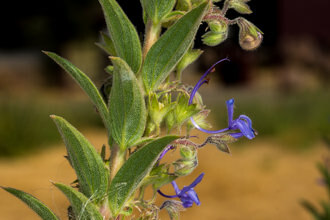 Plants in the Mint family tend to have aromatic oils, asymmetrical, bilabiate flowers (having upper and lower lips), leaves paired on opposites sides of the stem, four stamens, and a pistil. 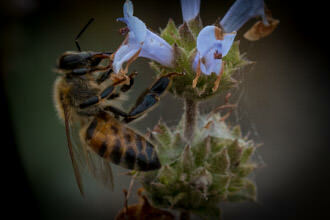 The Mint family includes Sage, Coleus as well as our White Hedge Nettle and Hedge Nettle plants. Each time I have located this plant, it was because the spike of tiny white flowers that is so alluring. I immediately thought "Christmas Tree" because of the shape and color of the flowers. 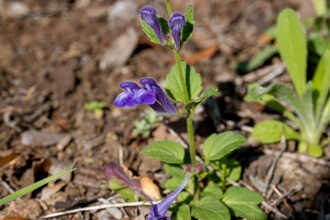 The plant can appear as single-stemmed or branched depending on the age and growing conditions. Stachys albens flowers have a two lipped, five lobed calyces covered with many fine hairs. Flower colors range from white to pinkish with purplish veins (used to guide pollinators to the nectary). 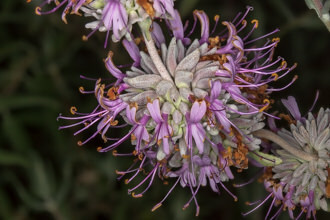 Flowers are quite tiny (one-half inch long by one-quarter inch wide) and require magnification to see their beauty as well as the four stamens and one pistil. 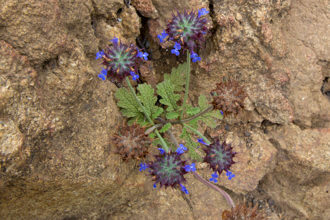 This plant is shrouded in hairs and features opposite, triangular and, serrated leaves. Four dark colored seeds are the product of successful reproduction. Last modified: August 07 2017 13:39:16.